Credit One credit cards don't offer enough in terms of benefits to justify their price tag. We recommend people avoid these cards in favor of better alternatives. Credit cards from Credit One Bank are, across the board, fairly poor deals for consumers. 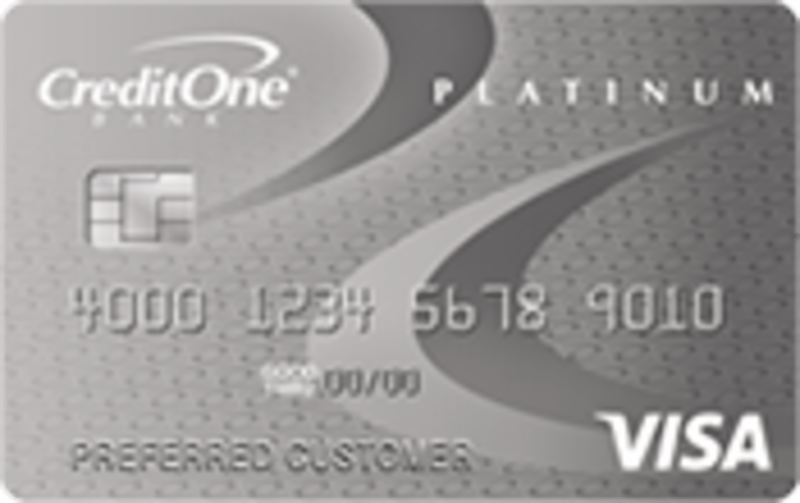 The four cards -- Credit One Bank® Unsecured Platinum Visa®, Credit One Bank® Unsecured Visa® for Rebuilding Credit, Credit One Bank® Platinum Visa®, and the NASCAR Credit Card – all provide very similar, and limited, rewards and high fees. We suggest consumers looking for a new credit card consider other options discussed below. How Do It Compare To Other Options? Note: Technically, Credit One has four separate credit cards that we listed above. However, their benefits and features are for the most part extremely similar. Therefore, all the comments in this review apply across the board to all Credit One Bank credit cards. Review: Should You Apply For A Credit One Credit Card? Credit One credit cards don't offer enough to consumers to justify their high fees. The cards have unclear terms, come loaded with fees, and don’t offer much cash back rewards. Before you sign up for a credit card, you can typically pull up their fees disclosure to see exactly what you can expect to pay when you sign up for an account. Credit One requires you to give them your personal information before giving you any specifics. For example, their credit cards list the annual fee as a range, $0 - $99. You will only have a $0 annual fee if you have excellent credit. On the rewards front, cardholders get just 1% cash back on gas and grocery purchases. Even the worst rewards credit cards today will typically give people 1% back on all purchases. Together, these factors are what make the Credit One Bank cards a bad deal. Even if you have bad or no credit, you can get much better terms from cards like the Discover it® Secured or Discover it® Student Cash Back. As we noted, the Credit One credit cards all come with high annual fees, unless you have an excellent credit score. If you do have a good score in the first place, you can qualify for significantly better reward cards and shouldn’t consider any of the Credit One options. On the flip side, if your credit score is less than stellar, you can still avoid annual fees by picking up cards specifically meant for people with bad credit. The main appeal of Credit One is that they offer non-secured credit cards for people with bad credit. However, we don’t recommend exchanging a security deposit for high fees. At the end of the day, the security deposit on secured cards is money that still belongs to you. You can withdraw it when you close down your account. The money you’ll pour towards the high annual fee on Credit One cards is gone forever, and will over time be higher than most security deposits. Bottom Line: It’s hard to recommend the Credit One cards to anyone. No matter whether you have good or bad credit, you can find plenty of alternatives that are a significantly better value for the consumer. The Credit One credit card is primarily used for building up credit, though it offers additional benefits to cardholders. First, the card provides 1% cash back on gas and grocery purchases. The rewards are applied to your account once a month in the form of statement credit. Note that major wholesalers, including Walmart, Target, K-mart, Costco and Sam’s Club, do not count as grocery stores. If you have the NASCAR Visa edition, you can also get 2% back on NASCAR.com purchases as well. The Credit One credit cards also offer free credit monitoring to cardmembers, and $0 fraud liability on unauthorized charges – both of these features, however, are pretty commonplace and can be found on most other credit cards. The most problematic feature of the Credit One credit cards is their annual fee. The cardmember agreement is one of the most confusing and least transparent we’ve seen. The card doesn’t tell you up-front what annual fee you’ll pay. Instead it gives a range of $0-$99. You have to first hand over your personal information so that the company can run a soft-pull on your credit. While this won't affect your credit score, it is an unnecessary burden to place on consumers just to get fee information. Once they pull your credit, the bank will then assign you an annual fee based on your credit range. If your credit score is ‘excellent’, you don’t pay any annual fee. Those with average credit will pay anywhere between $35 and $75 annually. Cardholders with bad credit, Credit One’s target audience, will pay between $75 and $99. Furthermore, you will need to pay $19 per year for each authorized user you add to the card. This service is typically free with most credit cards. Whether you are someone with bad credit or are simply looking for a cash back credit card, there are plenty good credit cards to pick instead of Credit One. Below we highlight some of the best alternatives that should fit most consumers. The Discover it® Secured is one of the absolute best choices for anyone with bad credit. Not only does this card allow people to rebuild their credit, it awards decent cash back rewards in the process. Users can earn 2% cash back at restaurants & gas stations on up to $1,000 in combined purchases each quarter, and 1% back on everything else after that. Unlike the Credit One cards, the Discover it® Secured has all their fee information disclosed online so you can see the terms you are agreeing to before you apply. As the card’s name suggests, it comes with no annual fee – even if you have bad credit. That alone makes it a significantly better offer than Credit One. The Capital One® Quicksilver® Cash Rewards Credit Card is meant for people with excellent credit scores. If that describes you, you should definitely not consider any of the Credit One credit cards. With the Capital One® Quicksilver® Cash Rewards Credit Card, you get 1.5% cash back on all your purchases – not just groceries and gas as you do with Credit One. The card also doesn’t charge you any annual fee, for either the main card or if you choose to add on extra authorized users to your account. Another advantage of the Capital One® Quicksilver® Cash Rewards Credit Card over Credit One is the early spend bonus. While the Credit One cards don’t give anything for signing up, you have the chance to earn $150 with the Capital One® Quicksilver® Cash Rewards Credit Card. To qualify for the bonus, you must spend at least $500 on purchases within the first 3 months. Those with a thin credit file, including college students, can sign up for the Discover it® Student Cash Back. The card offers some of the best rewards to people with no credit. When you use the card, you can earn 5% cash back in rotating categories each quarter like gas stations, Amazon.com, restaurants, wholesale clubs and more, up to the quarterly maximum each time you activate. For 2019, the categories include grocery stores (January-March), gas stations, Uber & Lyft (April-June), restaurants (July-September), Amazon.com (October-December). All other purchases earn an unlimited 1% back. From a rewards standpoint, the Discover it® Student Cash Back will always best Credit One cards. If you’re a student, the Discover it® Student Cash Back also comes with an added bonus for those who can keep their GPA above 3.0. When you sign up, you’ll get $20 statement credit each school year your GPA is 3.0 or higher for up to the next 5 years. Like all the Credit-One-alternatives we suggested, the Discover it® Student Cash Back has no annual fee, making it nothing but profit, for those who always pay off their bill in full and on time.